Both my wife and I are half-Jewish, and raised our kids as mostly cultural Jews. For the record, our kids are technically Jewish because my wife’s mother was Jewish. 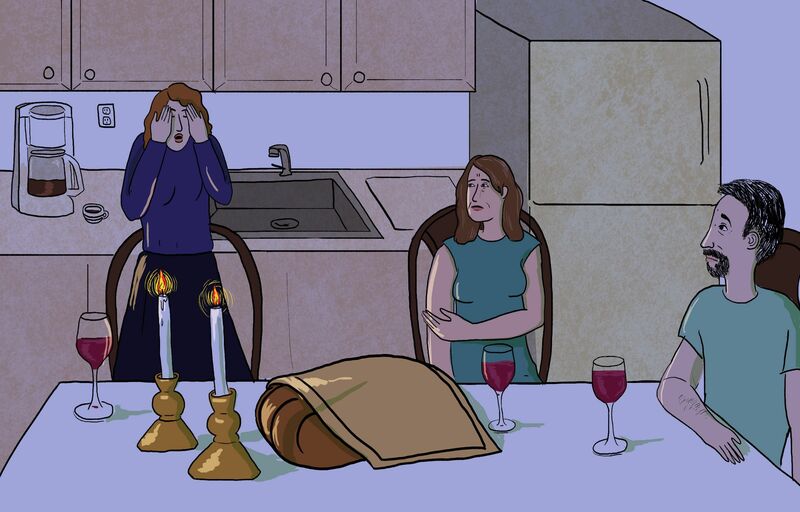 This past year while away at college, one of our daughters became increasingly drawn into the Chabad and has told us that she wants to both keep kosher and observe Shabbat this summer and plans on studying in Israel next spring. We want to support her in wherever her heart and mind goes and are excited to learn from her. But we are also aware of the second-tier status of women in certain Orthodox sects, including the Chabad, and are worried this particular path into Judaism might get in the way of her ambitions. Seesaw, how do you suggest approaching her about this? We suspect this might be a crucial moment and want to get it right. Well, to begin with, I hear this question from plenty of in-married families too. So you should know you have lots of company in this particular moment. Because of the model Chabad uses on campus, and because college is a time of exploration and searching, this happens with plenty of students. The single most important thing to remember is that you want to keep lines of real communication open. Your daughter is an adult now, and she gets to make these choices for herself. As an adult, she’s far likelier to listen to you, and respect your questions and suggestions, if she feels like you’re listening and respecting. So do explore alongside her. Go to Shabbat dinner with her on a campus visit. Ask what she’s reading. Engage in an open way. Treat her as an equal and in doing so, remind her that she wants and deserves to be treated as an equal. Suggest she take Jewish studies classes. Encourage this interest in ways you support, rather than making this a battle. One other suggestion: maybe offer to help her get to Israel if she’ll consider a more egalitarian program. Look into non-orthodox (but serious study-based) opportunities. She may only have experienced Chabad in this way, but there are plenty of non-denominational ways to learn deeply about Judaism, especially in Israel. I’d venture to guess that Pardes (or something like it) would be fulfilling for her in the same way, and more easily integrated into other aspects of her life.